Today, we’re in the mood for wedding dresses with a glamorous touch. We hope you are ready for a day filled with glam too. And luxurious glamour is exactly what today the 2019 Eddy K has brought us into. 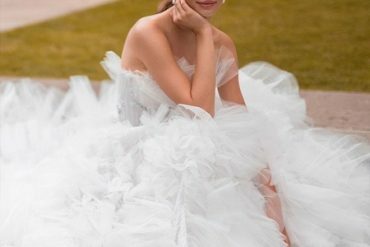 The 2019 “Couture” bridal collection by Eddy K. features delicately beautiful embellished wedding dresses with an elegant touch of luxury + an incredible variety of styles.